N&L Giveaways and 20% Off!! We've had a busy week in the N&L studio filled with welcome bags, birthday parties, and invitations for a fabulous Las Vegas wedding! 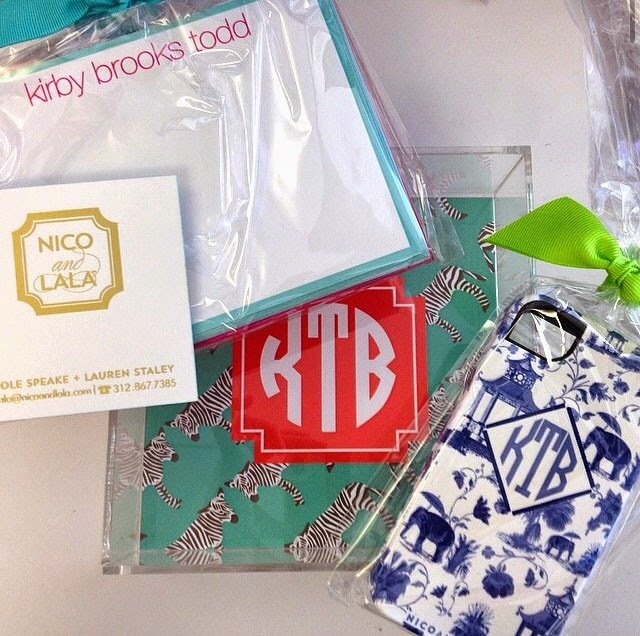 While we've had a lot going on in the office, we've also had other exciting things going on...like N&L giveaways! This week, we're teaming up with not one, but two different blogs (three different bloggers) to give away some swanky N&L products! 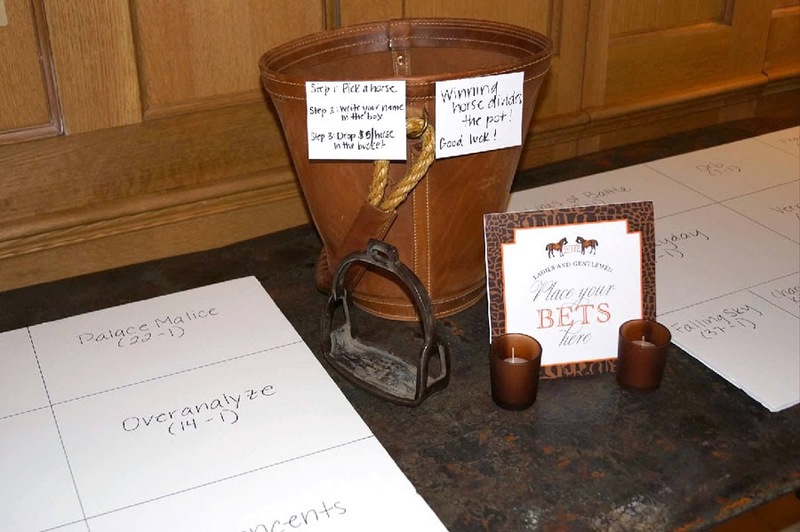 First up is our friend Carly over at The College Prepster! 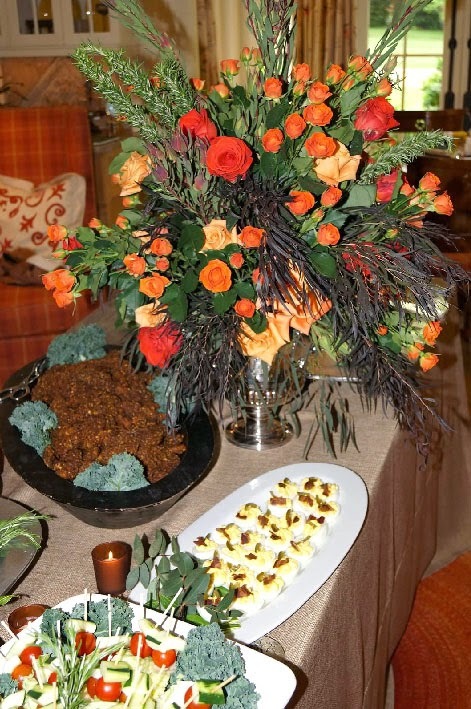 We've worked with her in the past (most recently we designed party swag for her Washington, DC meet and greet hosted by Brittany Ann of Hosting and Toasting), and each time we work with Carly, we love her even more! 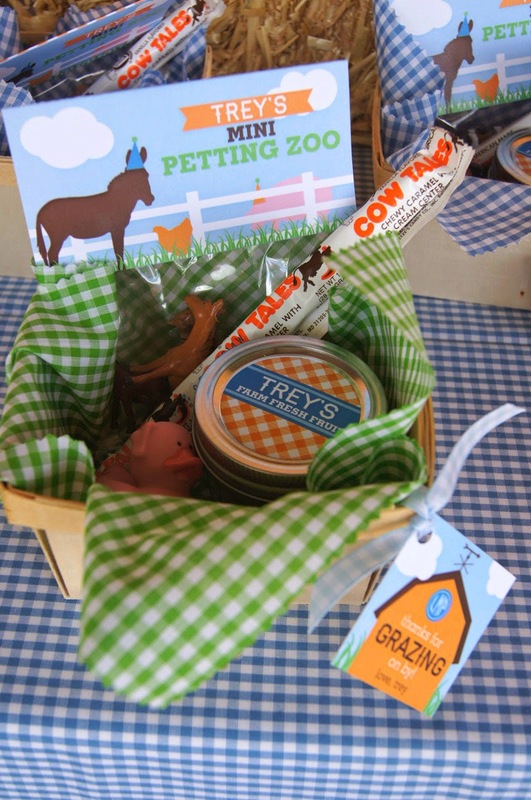 So we wanted to collaborate with her to give away a bundle of goodies to one of her lucky readers. 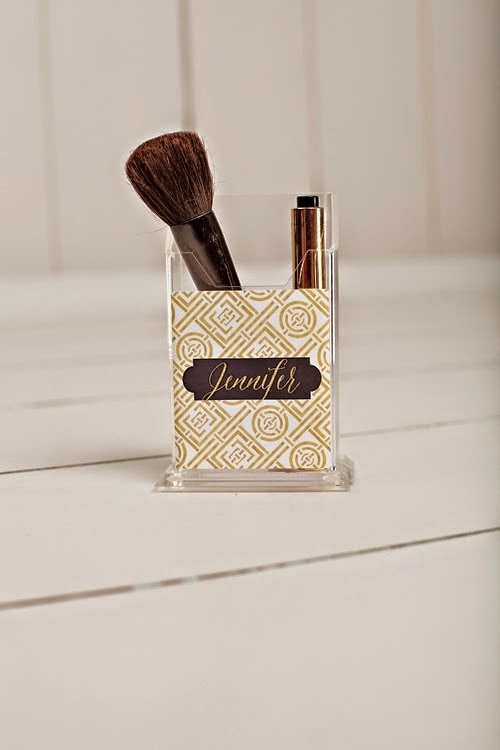 The winner will receive an iPhone case, catchall, pencil/ makeup brush holder, and stationery of their choice. 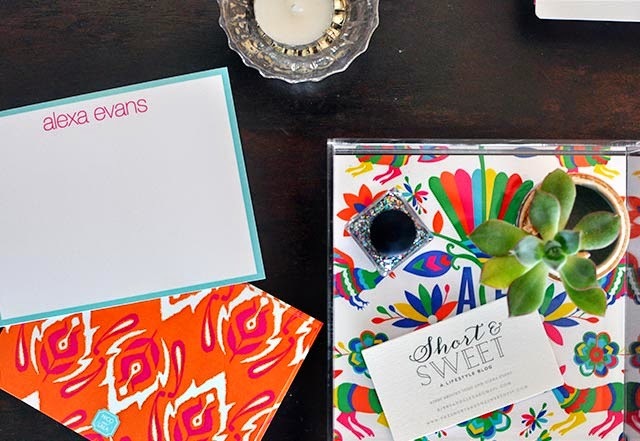 In addition to this swanky giveaway, we're also offering her readers (and all of you!) 20% off our site until April 15th. That's right...a sale!! 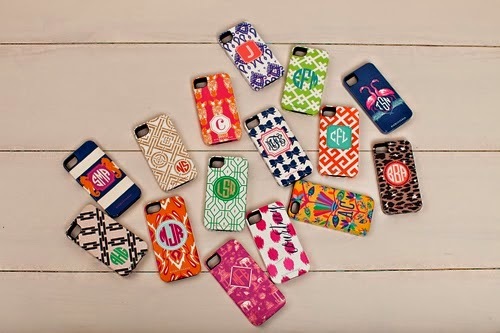 Just in time to fill Easter baskets with monogrammed goodness. Use code COLLEGEPREP20 at checkout, to redeem! Now over to our west coast friends, Alexa and Kirby of The Short and The Sweet of It! 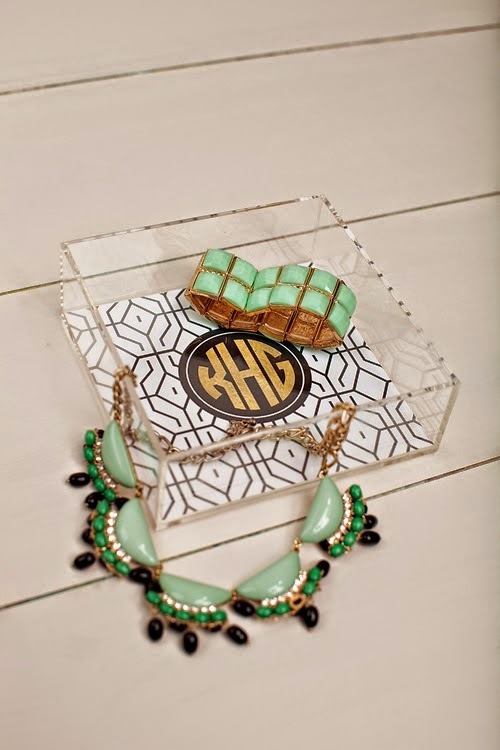 Our friend Elizabeth (from The Now Stylebook) introduced us to their stylish duo last year, and we've been hooked ever since!! 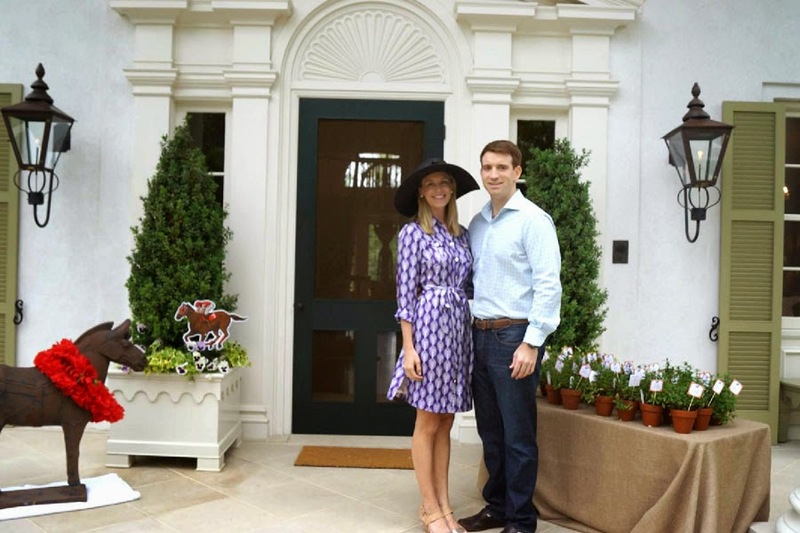 If you're not familiar with Alexa and Kirby--they're lifestyle bloggers from Southern California who focus on four major topics: decor, delish (food), wear (fashion), and wonder (travel). 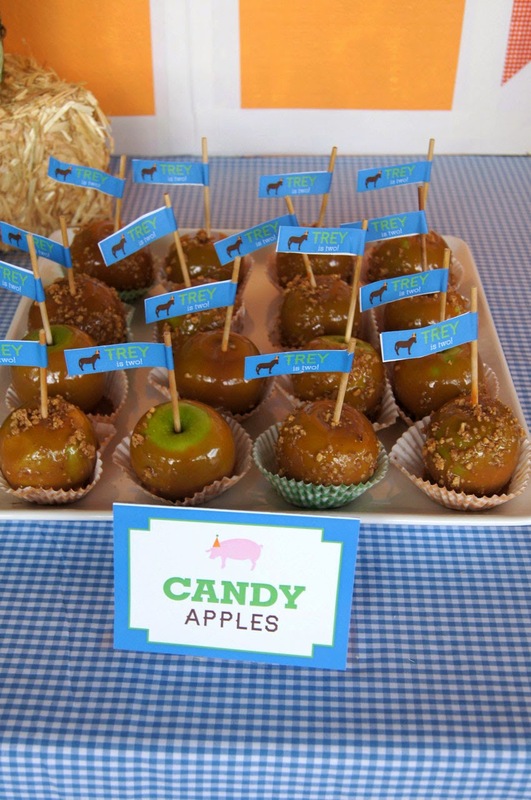 Aka they blog about our four favorite things in the world! So we decided to reach out to the pair for a giveaway after debuting our new iPhone prints, and are beyond excited to be working with them! 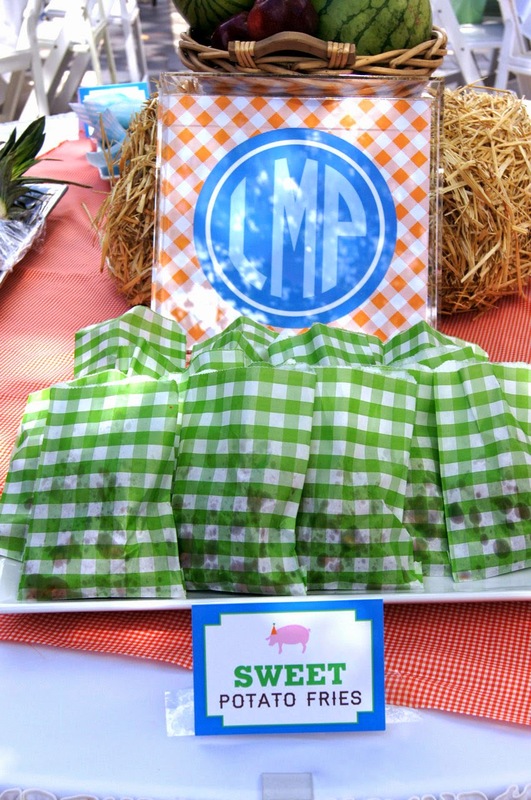 One of their lucky readers will win $100 worth of N&L goodies! 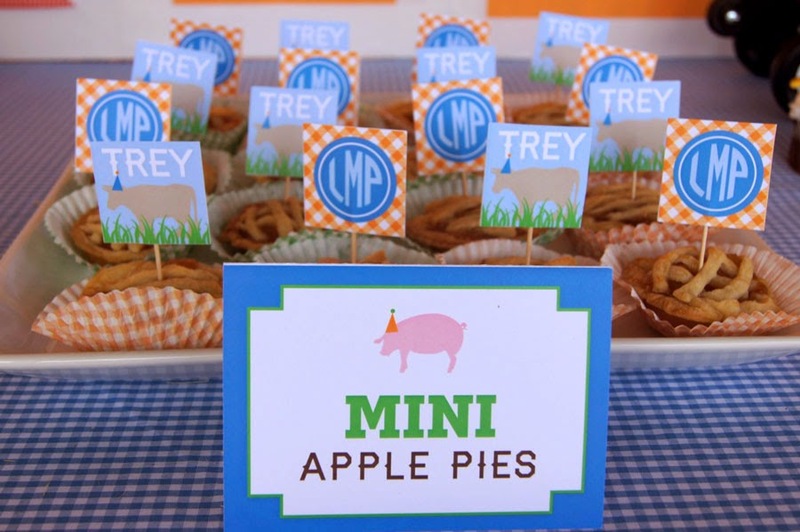 So go visit The College Prepster and The Short and the Sweet of It, and share with your friends!! 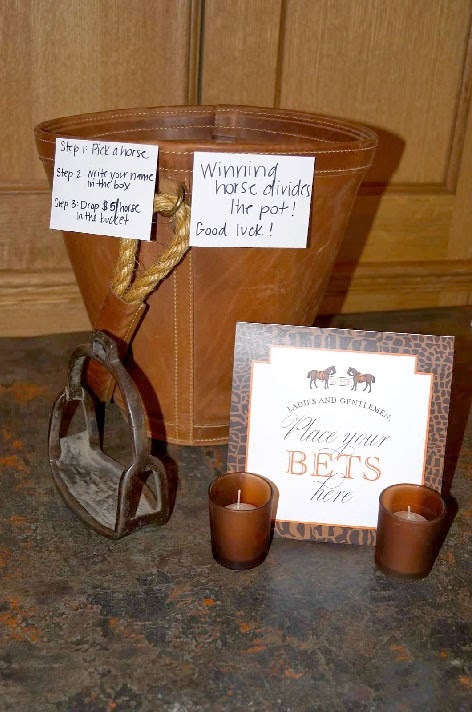 Best of luck to everyone entering--and be sure to shop our 20% off sale before April 15! Ps. 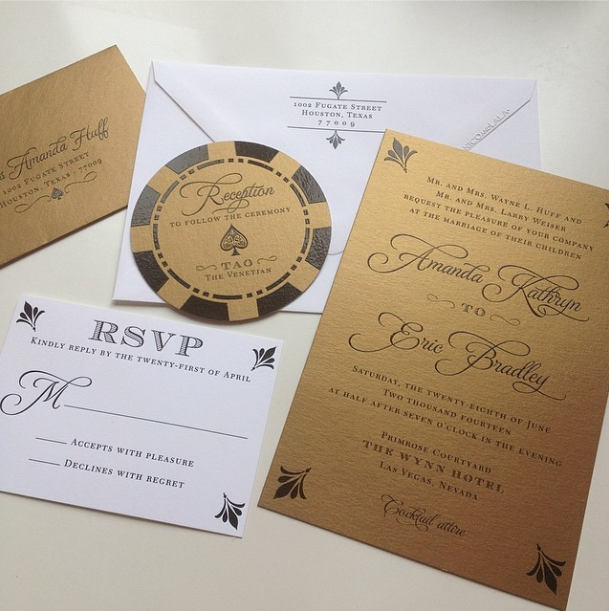 Here's a peek at the Las Vegas wedding invitations we sent out earlier this week. 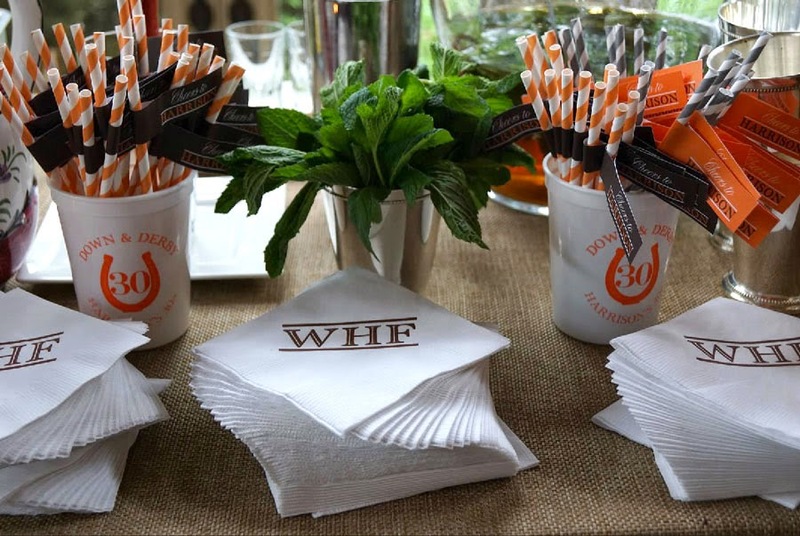 Our favorite part of the ensemble is definitely the poker chip shaped reception card...it's Vegas, baby!! We're only a week into April, and have already had our share of April showers. But these April showers are supposed to bring May flowers, right?! 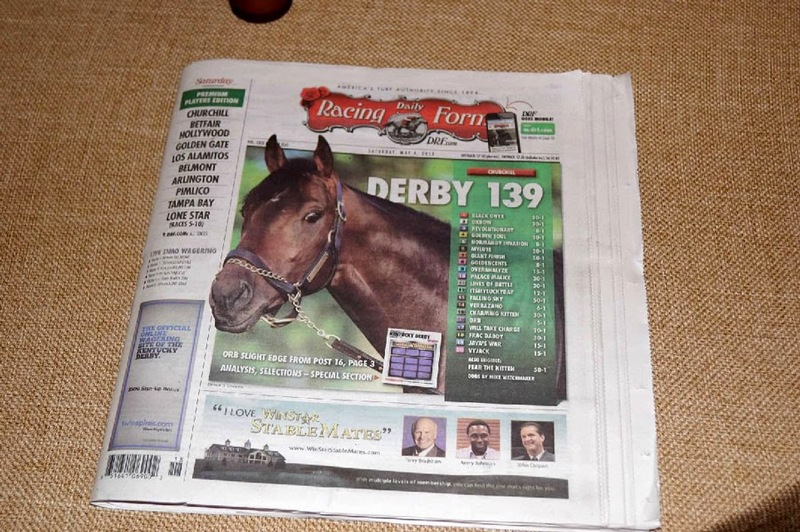 And with May, comes one of our favorite events...The Kentucky Derby! 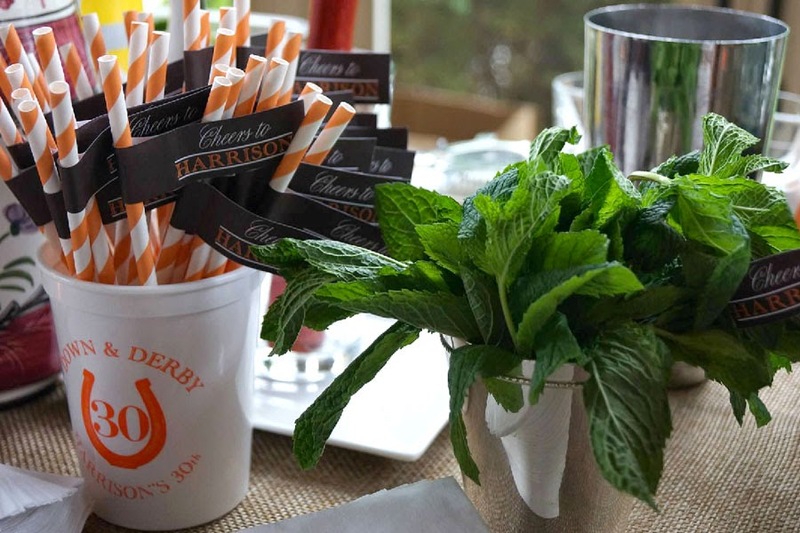 The Derby is a great excuse to pull out a colorful sundress, find a floppy hat, and sip on mint juleps while watching horses race! 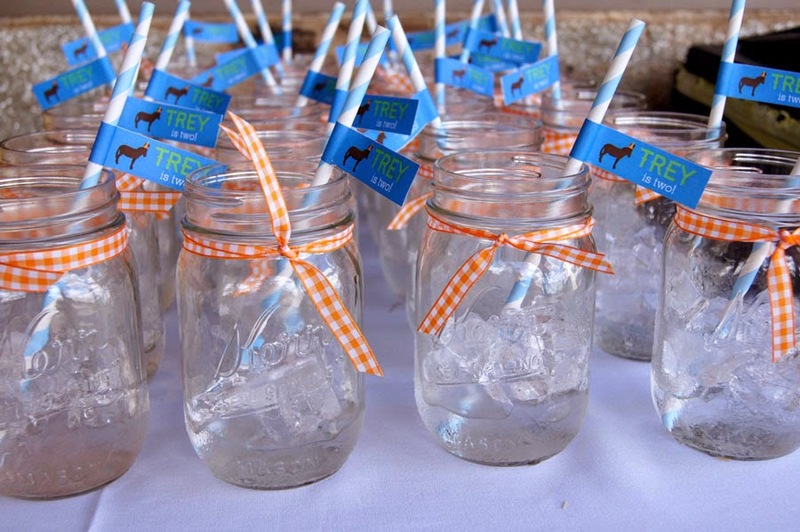 It is also the perfect theme for a 30th birthday!! 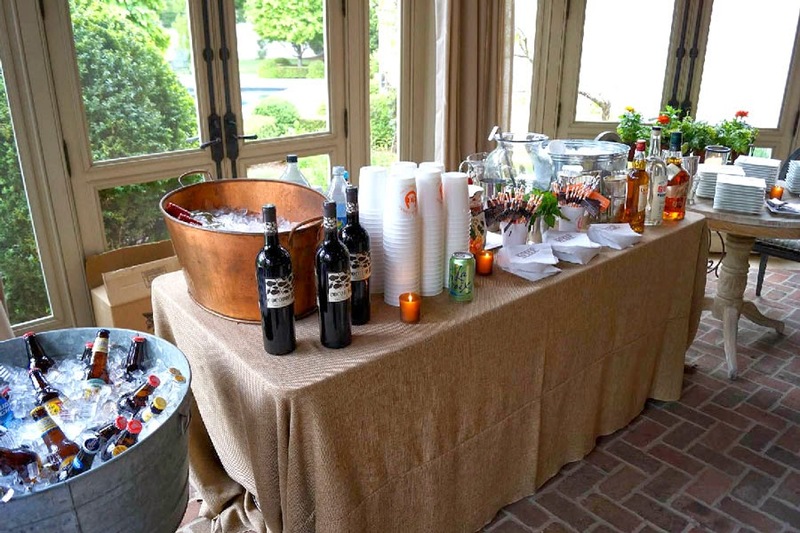 For Harrison's 30th, we helped his wife, Ashley, put together a party grand enough to celebrate both occasions. 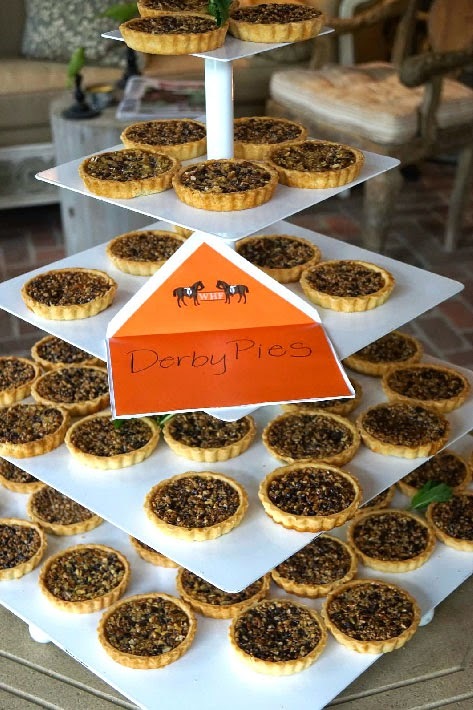 Get ready to get down and Derby, while checking out this Kentucky Derby 30th birthday party pics including his swanky invitation and party swag!! 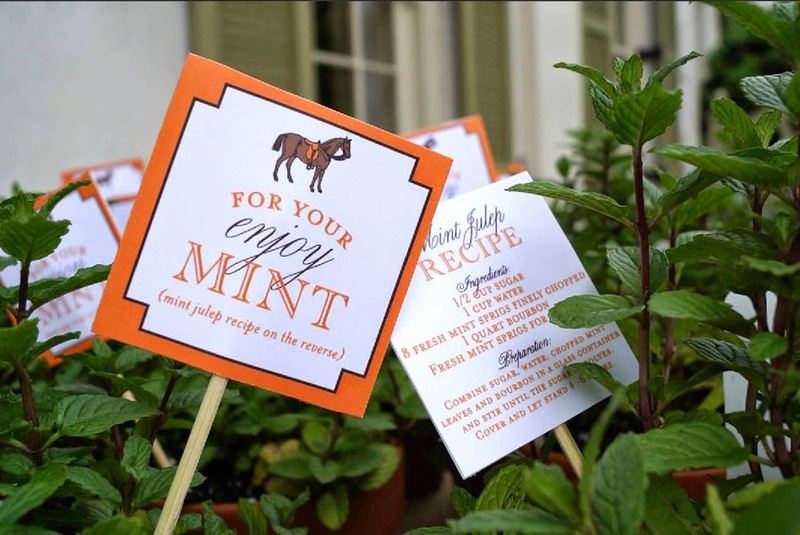 Party guests were treated to a mint plant as they left, so they could enjoy mint juleps at home!! 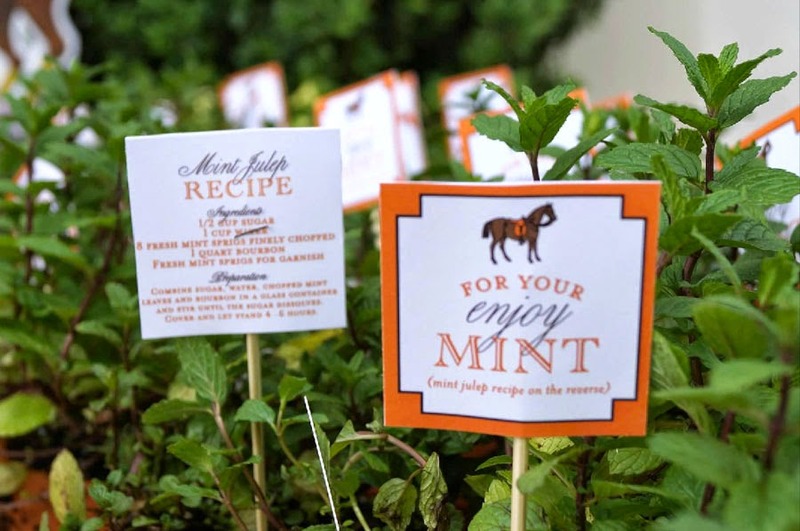 Each plant included a recipe to make the perfect mint julep! 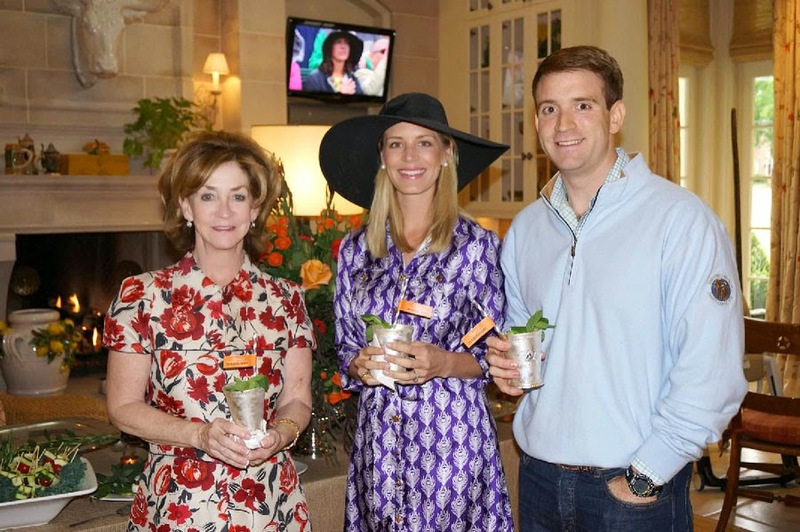 Birthday boy Harrison, is joined by his mom and wife, all sipping on mint juleps with personalized straw tags. 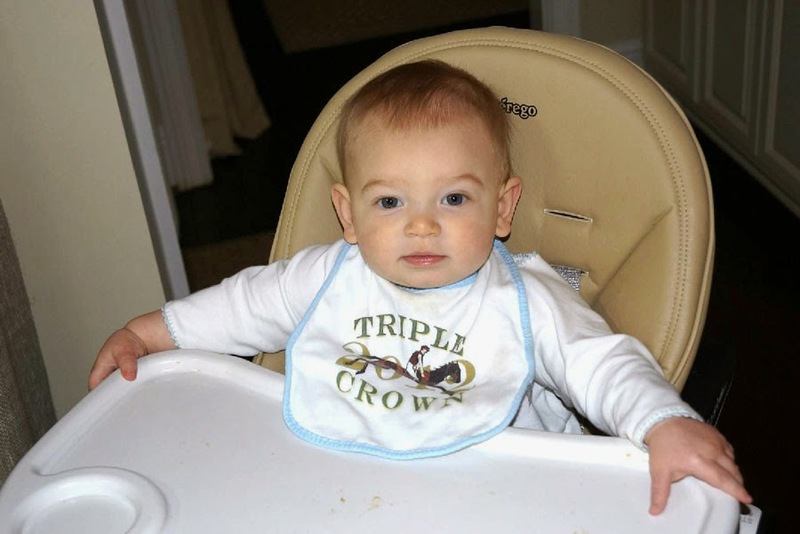 Ashley and Harrison's son (little Harrison III) is adorable and in the Derby spirit!! 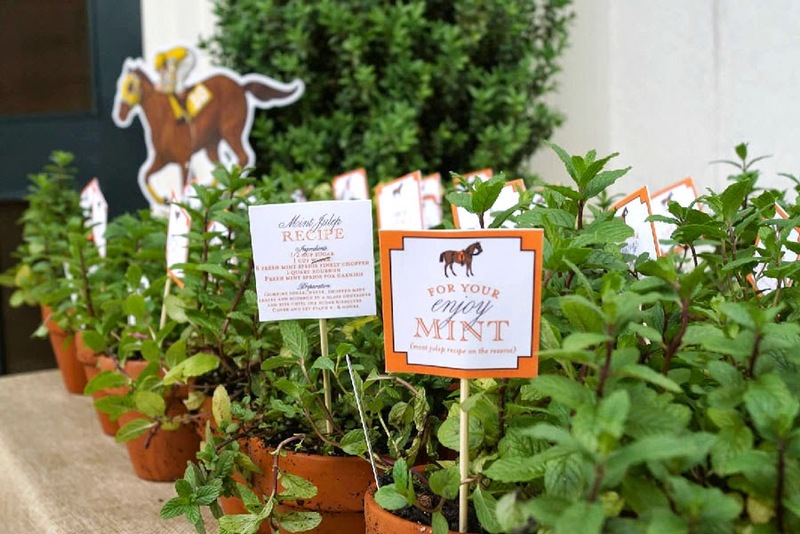 For all you monogram fans...be sure to head over to our friend Carly's blog (The College Prepster) for a chance to win four fabulous N&L personalized items. 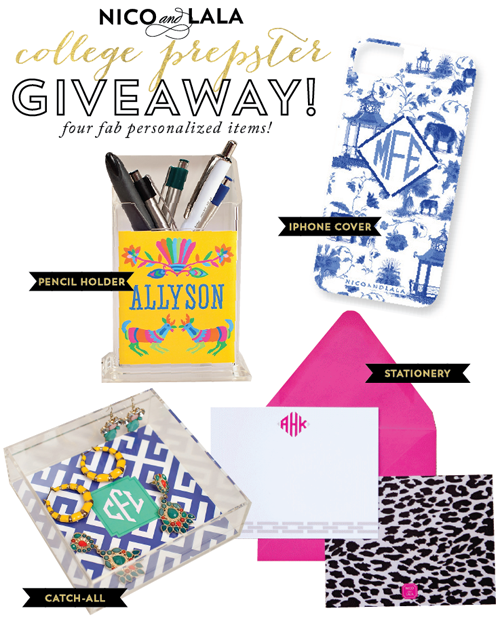 We're giving away an iPhone cover, pencil holder, stationery, and a catchall! 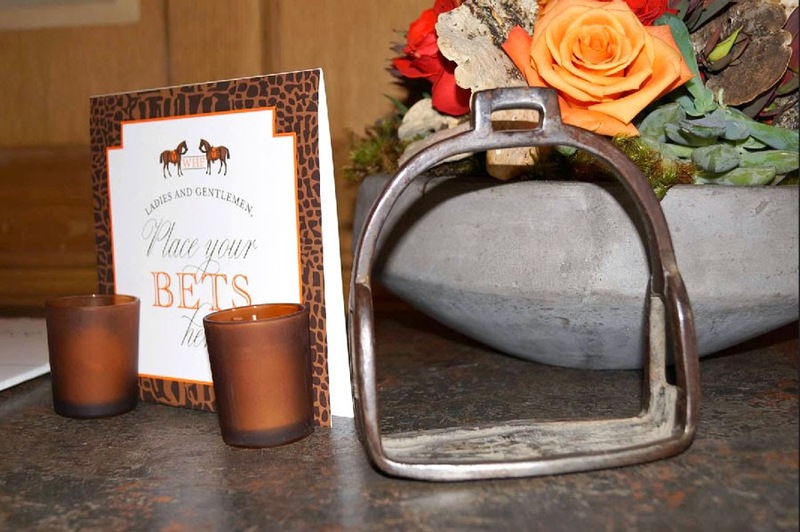 Hurry...her fabulous giveaway ends FRIDAY! Ps. 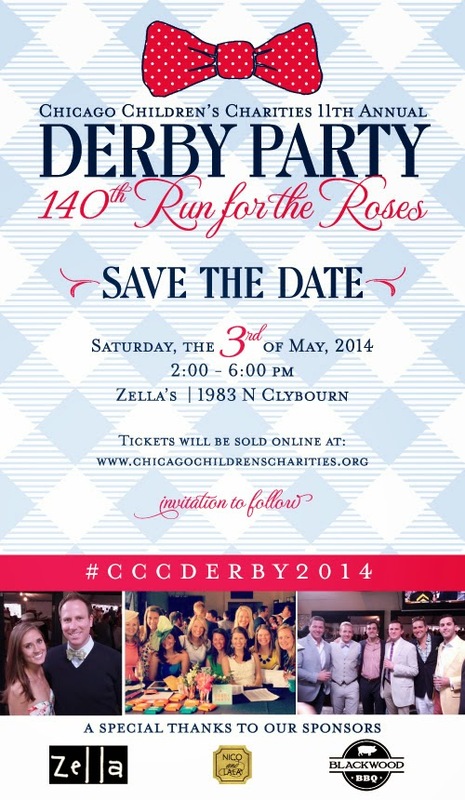 Speaking of Derby parties...Chicago friends be sure to save the date for the 2014 Chicago Children's Charities Derby Party! 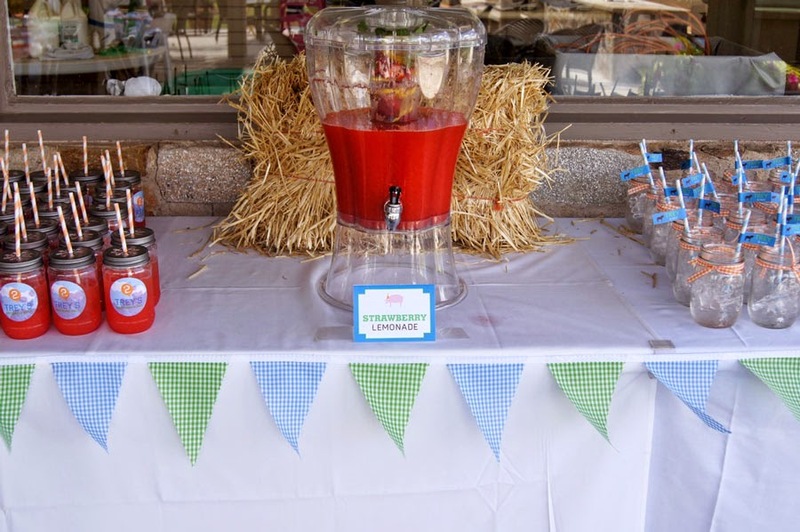 This fun event (in its 11th year) will be held at Zella on Saturday, May 3rd. 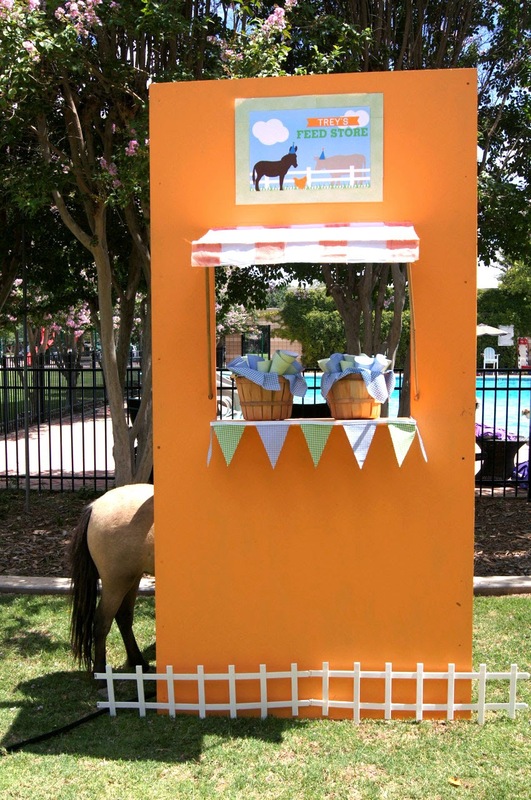 Visit the CCC website for more info and to buy your tickets! 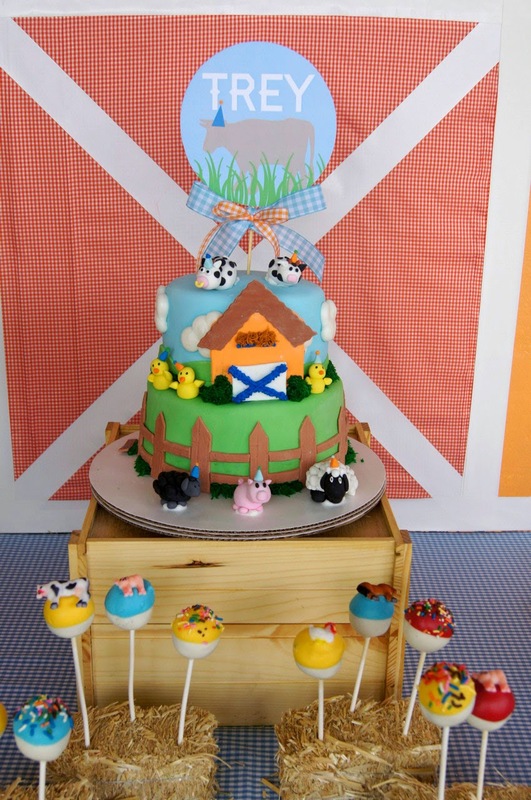 Fun Farm Animal Birthday Party! Happy April! We've put away our puffy winter coats for the season, in hopes that Chicago weather soon gets the hint it's spring. 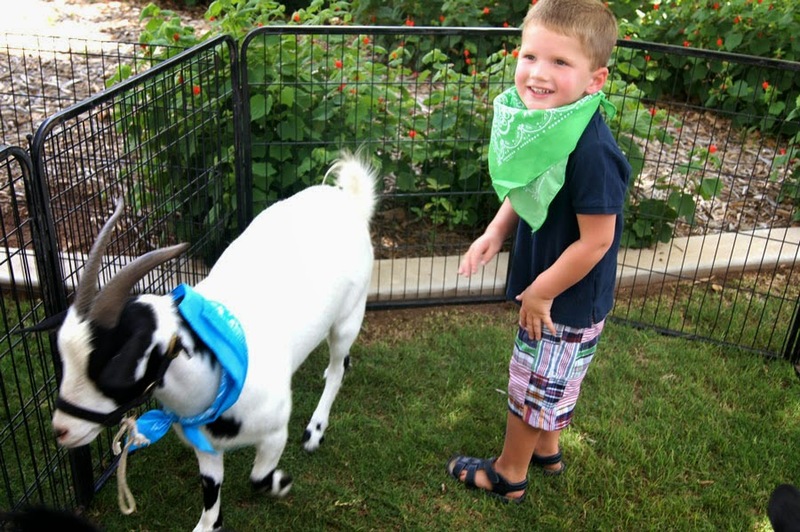 With the changing of the season, comes abundant sunshine, warm weather, and baby animals everywhere! 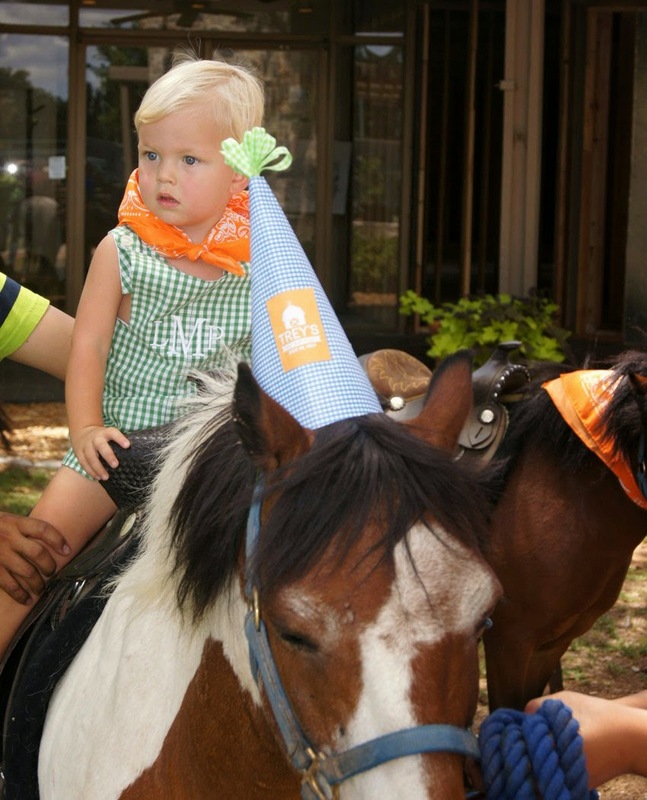 In the spirit of spring, we want to share one of our favorite birthday parties from last summer! 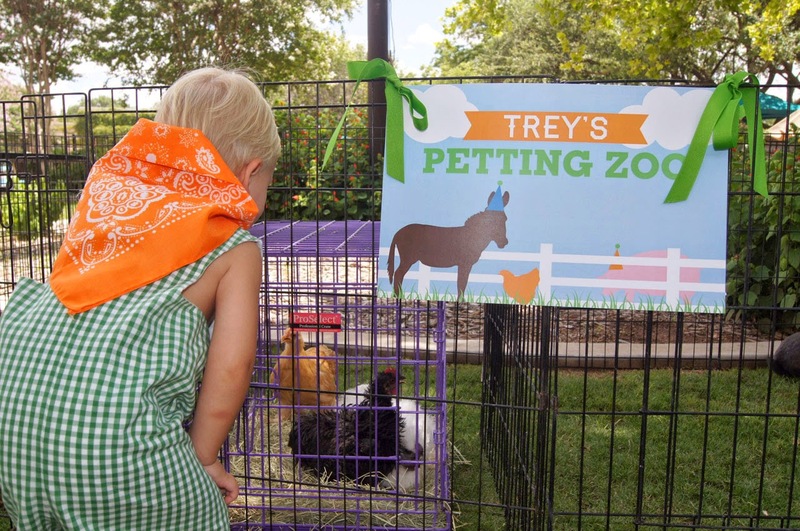 Trey turned two, and celebrated his big birthday with a fun, farm animal birthday! 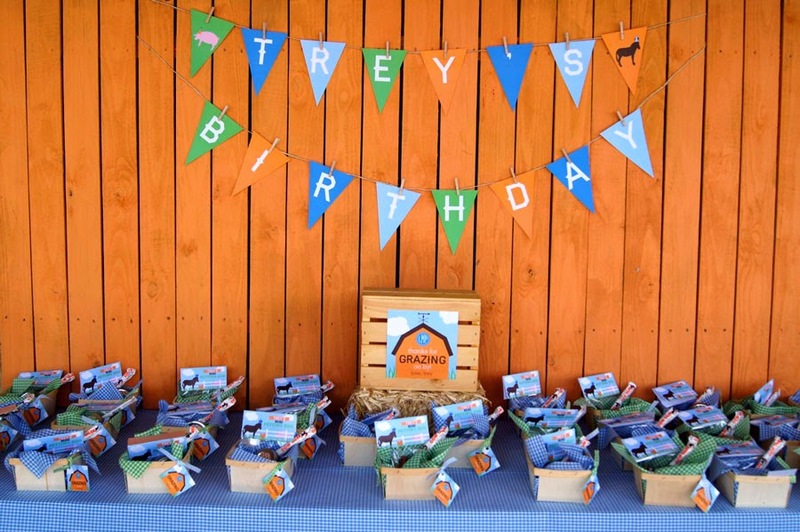 You might remember Trey's nautical first birthday, including his awesome sailboat shaped invitation. 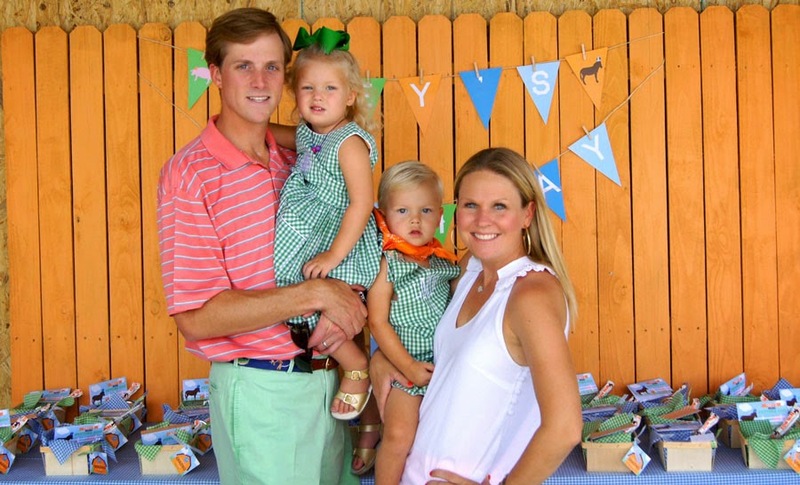 We've also helped with Trey's sister, Lily's, birthdays including one of our most popular parties EVER...Lily's pink and green, Lilly Pulitzer inspired first birthday!! 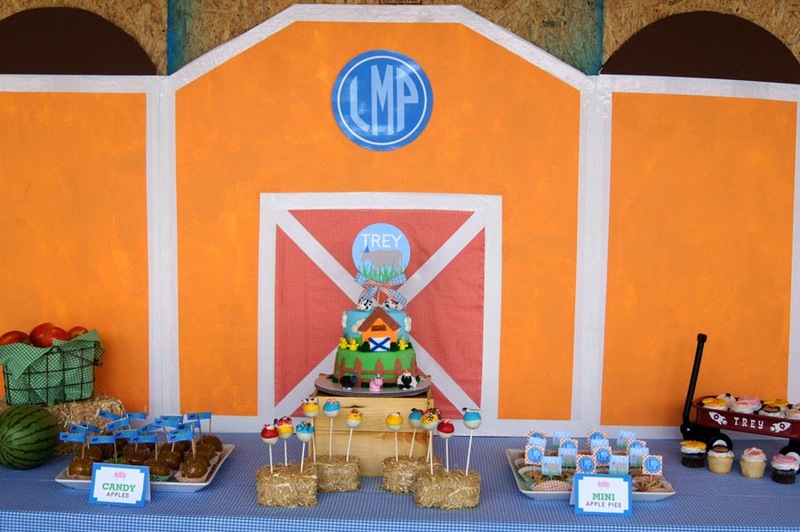 So when Trey's mom, Brooke, came to us with this farm idea, we were beyond excited to help her create something fabulous. 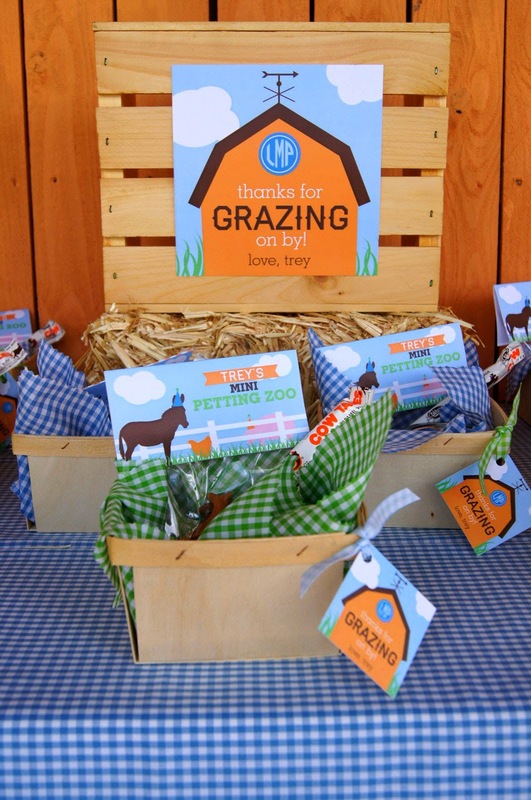 We created a tri-fold barn invitation, that opened up to reveal farm (party) animals on the inside! 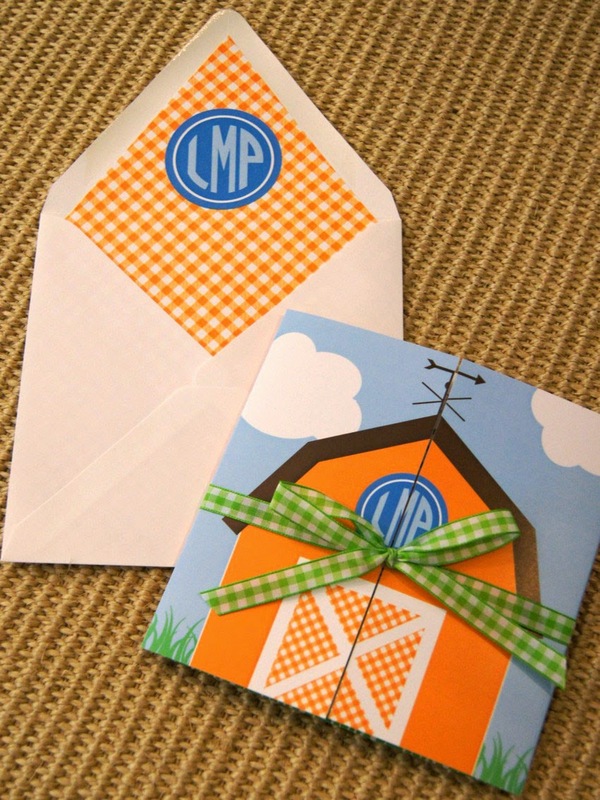 His invite even included a coordinating orange gingham envelope liner, which perfectly matched all of his party swag! Adorable. 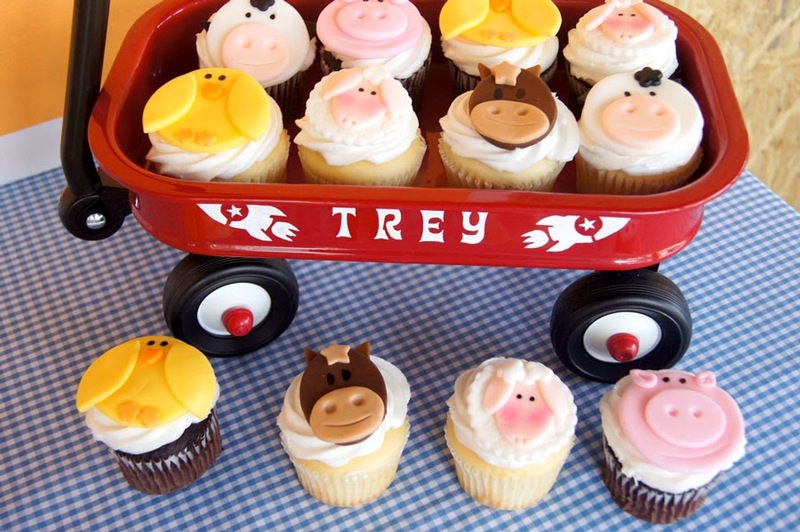 Oink, oink, moo, neigh...put on your farmers hat for Trey's 2nd birthday! 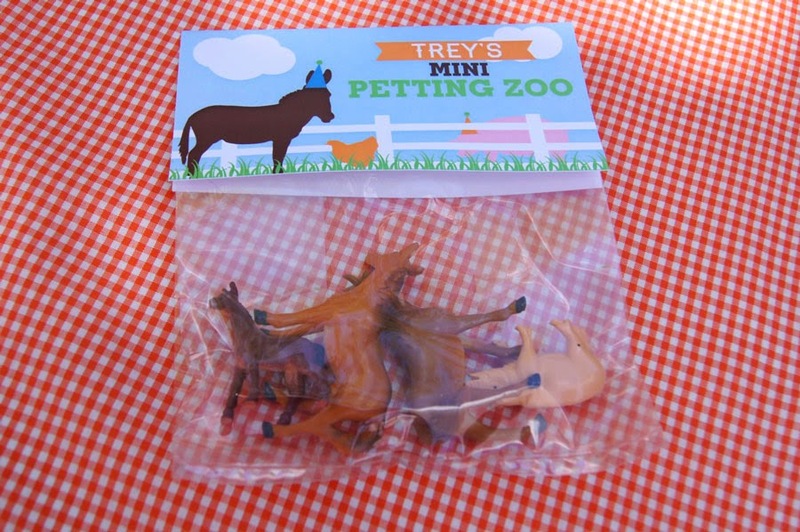 How adorable is this feed store for the animals? 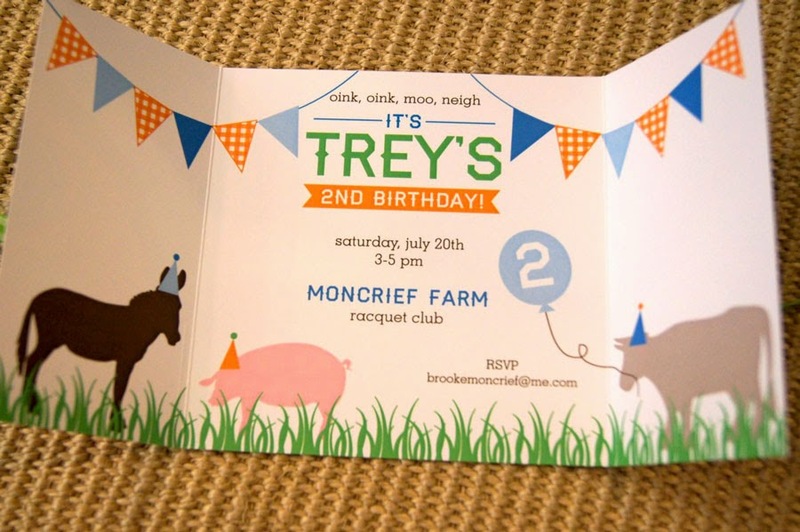 We LOVE how the pony has on a party hat, like the inside of our invitation! 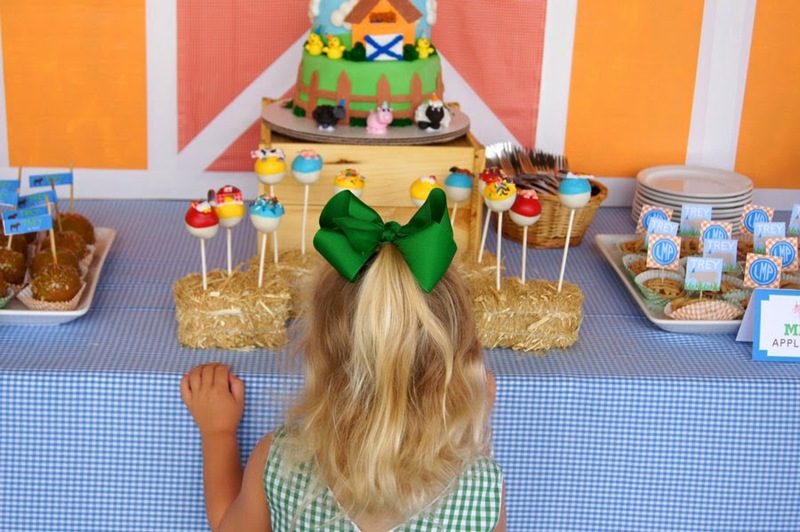 We had so much fun with this sweet farm animal birthday party! 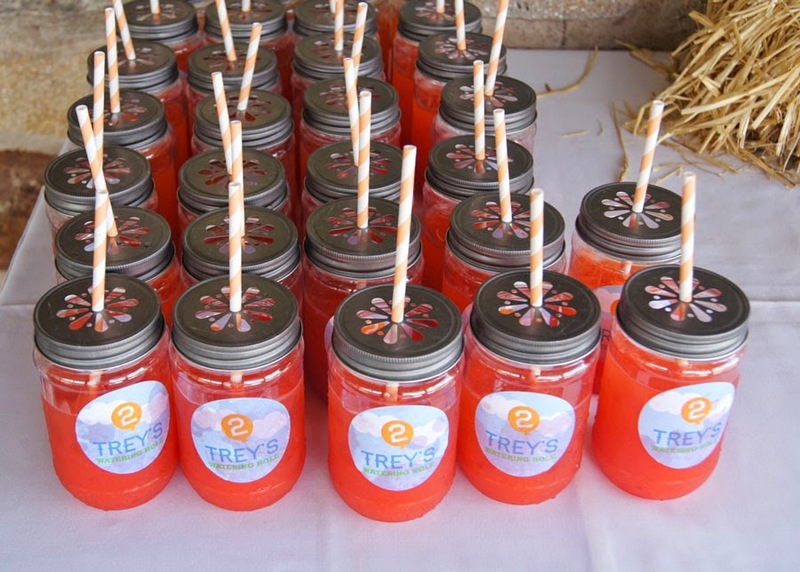 We're already looking forward to helping with Trey's third birthday, later this summer! !